Gift-giving is a heartfelt practice that brings people closer together. It can convey a wide range of messages and emotions. From tokens of gratitude to expressing love or respect, gift-giving traditions vary around the world. In China, gift-giving is important for building, maintaining, and strengthening relationships. Putting considerable thought into the perfect present is key. In Italy, gifts are expected to show thanks to a social invitation. Putting thought and energy behind every gift is considered more valuable than price. Making a homemade pastry or meal is considered being thoughtful because of the labor of love in making it. In Mexico, gifts are s een as a gesture of appreciation and affection. 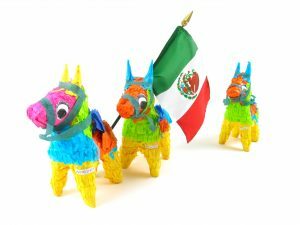 Flowers, wine, or small sweets are given when visiting someone’s house, piñatas make appropriate birthday gifts, and businesses usually exchange company merchandise or for a long relationship an exchange of wine or scotch is common. The Japanese place great emphasis on presentation when gift-giving. People send a “thank you gift” in response to a “thank you gift.” And it’s customary to place a tight decorative knot on a wedding gift envelope because folklore dictates the envelope should be impossible to open. 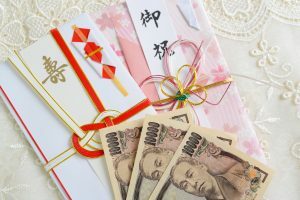 In Trinidad and Tobago, it’s customary to place money in the hand of a newborn baby to convey best wishes for the child’s healthy and prosperous upbringing. You must also watch out for social quirks. For example, clocks should be avoided in China because the Chinese word for clock is associated with the word for death. And in some European countries such as Germany, superstition dictates that giving a knife as a gift will sever your friendship. These are just a handful of the many unique gift-giving traditions from around the world. So, if you’re giving-gifts to people around the globe, you might just want to do research on local etiquette to avoid making a faux pas.